Before modern commercial breeding created the “Broad Breasted” Bronze, we had the “Standard” Bronze turkey. It is about 3/4 the size of the Broad Breasted but; it can breed naturally, will eat less and generally avoid potential leg problems sometimes caused by very rapid growth. The delicious flavor in the meat and the feather coloring is the same in both breeds. Standard Bronze Turkeys can be shown in the non-commercial class at poultry shows. All turkeys can fly. However, due to their size, they typically do not fly unless scared/startled by predator. Can chicks and poults be ordered together to reach the 25 minimum order or must I just order them separately? We only sell turkey as babies. The minimum on turkeys is 15. How long will it take for the hens to start laying eggs? Heritage breed turkeys start laying around 35 weeks of age, usually in the Spring. Are these turkeys good at free range feeding? If not what is the best breed? Yes, they would be good for free ranging. But turkeys contain a limited system for digesting grass and plants. Be sure you keep grain feed available because of the limited digestion. 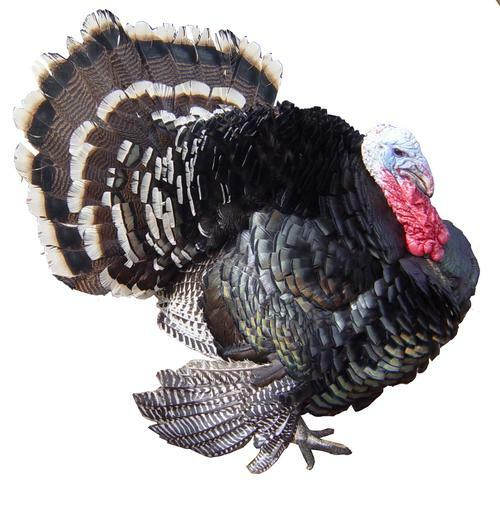 Can a standard bronze turkey breed a broad breasted turkey. I now have 2 hens and a Tom broad breasted but would like to breed. My hens are laying, is there a chance the broad to would breed? Would it take a full year to breed if I buy from you and how many would I need to buy to be confident I got a Tom? The broadbreasted toms are not able to breed naturally. Their breast is too large. Yes, Standard Bronze turkeys will reproduce naturally. How long does it take for this breed to reach full size? How long for the Bourbon Red? Heritage breed turkeys can take about 9 months to reach their mature weight. Can I buy one male bronze turkey chick? Sorry, we do not offer sexed turkeys. All turkey poults are sold as "straight run" chicks. 13% MortalityI received an order of 15 standard bronze turkeys, and started them inside (they're still in my other room with a brooder lamp). Exceptional hygiene. Using Tucker Milling chick starter from my local feed store. Two of the chicks were very feeble on arrival, and I was hoping they would bounce back after some food, water, and rest. I lost one chick on the 3rd day, and another one on the 4th day, for what appeared to be a failure to start eating. Of the 13 remaining chicks, they are now growing and feeding well. They're growing fast, and quickly becoming good flyers! 13 / 15 survived, 13% mortality rate. I'm wondering if I could decrease the mortality rate if I hatched them rather than receiving newly hatched chicks. QualityI just received my 10 standard bronze turkeys this morning all of them appeared to be healthy and notice one of them had there head side ways. Picked it up and notice he only has one EYE and his beak is off center. I am not really sure what happen with quality this time in the past when i have order all has been well.